I've never had the chance to get tired of my home, Provence, for one reason: I left for 10 years. It was right around my 20th birthday. I remember being younger there, exploring with friends, feeling like I knew this place so well. At that age, I was starting to become even more sensitive to the beauty around me, the landscapes, nature... but I moved away, visiting new places and experiencing other parts of the world. And then, I started working as a Trip Leader for Backroads in Provence. I returned to the region with eyes bright and wide open, like a little kid in front of a Christmas tree. It was just as beautiful as I remembered, only more so. 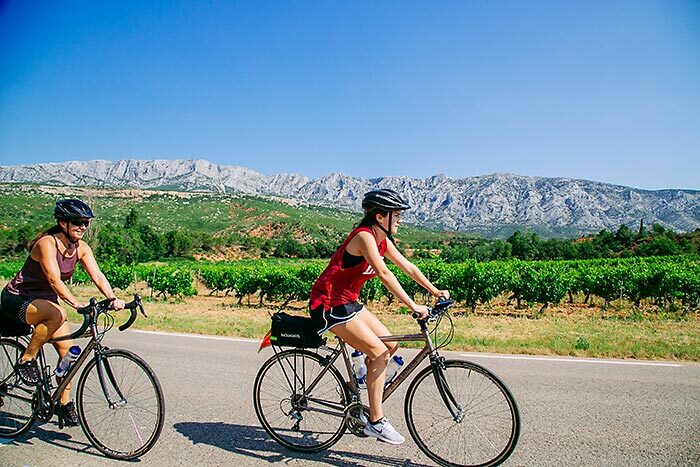 Leading the Provence Bike Tour made me realize that I had so much more to learn about my home. The trip goes through three mountain ranges--Les Alpilles, Le Luberon and Le Mont-Ventoux--that I had only really seen but never explored. Like many New Yorkers who never go up the Empire State Building, or Parisians who have yet to climb the Eiffel Tower, these mountain ranges have always been there, waiting for me. Ironically, it's through a company based in California that I have discovered the most local and authentic places in the regions where I grew up. For example, our Backroads trip brings us by bike to a picnic spot by an ancient quarry dug by the Romans 2,000 years ago. Then a 92-year-old man hosts us in his troglodyte house, where he has lived his entire life. Later, we ride to a historic family mill in the middle of nowhere to taste the most incredibleolive oil. These and many other special stops make you feel completely immersed in the region. Working in Provence has brought me a new appreciation for my home, and I find it so incredible that I get to share it with visitors from far away. We will stop for a coffee in Oppède-le-Vieux, a village where time seems to stand still. We'll ride through gorgeous towns by the river, or head straight to the pool in the village where Peter Mayle wrote his famous book, A Year in Provence. 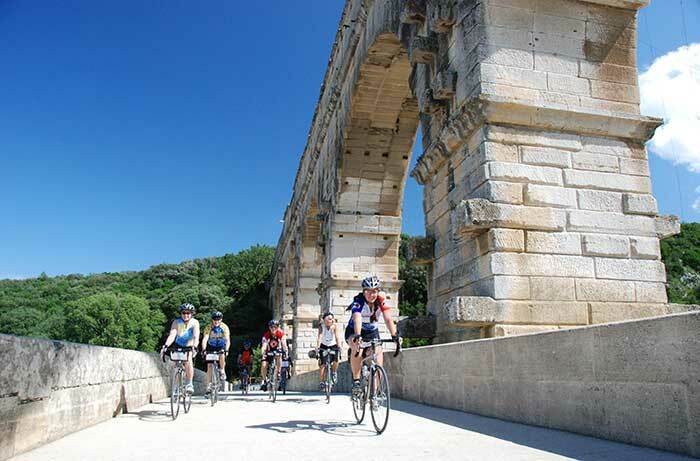 We'll learn how to play pétanque, and get in some serious cycling above Gordes and through the Gorges de la Nesque. We'll see peaceful towns and perched villages in brilliantly green and colorful valleys that change throughout the summer from sunflower yellow and poppy red to rich lavender. Once you see Mont-Ventoux up close, goosebumps are guaranteed. Some will hop on their bikes and climb it, checking it off the bucket list, while others will ride through the region's most impressive gorges. We'll ride the most picturesque route of the famed Tour de France and dine at the finest restaurants, and we'll learn everything about honey at a special tasting. It's all part of the harmony that this region brings every day. Get ready. Provence is waiting for you. And you will never get tired of its charms. I know I haven't. We may have to go back someday! Great story!! We hope you do, Kerry. Provence is such a spectacular place to visit! Love to read the stories about backroads.Hope can do it some day.How old is too old to go?? We welcome every kind of traveler, and no age is too old to travel with Backroads! Although our trips are all active, they’re about so much more than the physical activity. We offer you the opportunity to REFRESH, CHALLENGE and ENGAGE yourself in whatever way feels right for you. Being active doesn’t only mean being on the seat of a bike or hiking up a mountain trail. Taste the finest wines, converse with locals, stroll along pristine beaches or hear local experts discuss their rich history and culture. 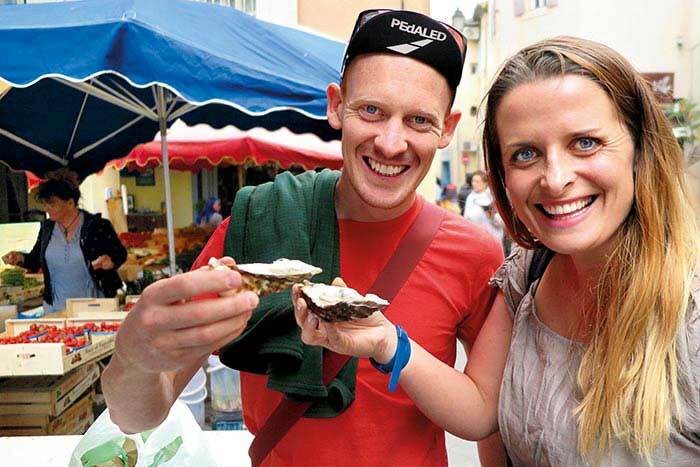 Our trips activate the senses and cultivate new passions. For more information, please speak with one of our knowledgeable trip consultants at 800-462-2848; we’d love to hear from you!